Step out of the city life by going to St. Kilda Beach and Melbourne Boat Hire. Head to Melbourne Central and Degraves Streetfor some retail therapy. The adventure continues: enjoy the sand and surf at Half Moon Bay, admire the natural beauty at Royal Botanic Gardens, meet the residents at Melbourne Zoo, and stop by Lightning Ridge Opal Mines. 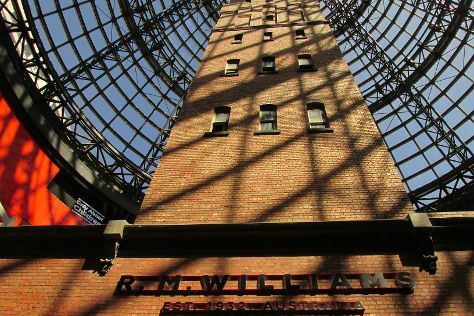 For reviews, traveler tips, maps, and tourist information, refer to the Melbourne itinerary planner. Swan Hill to Melbourne is an approximately 4-hour car ride. You can also fly. January in Melbourne sees daily highs of 32°C and lows of 17°C at night. Wrap up your sightseeing on the 8th (Wed) to allow time to travel to Port Douglas. On the 9th (Thu), discover the deep blue sea with a scuba or snorkeling tour. To see more things to do, ratings, other places to visit, and tourist information, read our Port Douglas online holiday builder . Getting from Melbourne to Port Douglas by combination of flight and shuttle takes about 6.5 hours. Other options: drive; or do a combination of bus and train. Expect somewhat warmer temperatures when traveling from Melbourne in January; daily highs in Port Douglas reach 37°C and lows reach 28°C. Wrap up your sightseeing on the 9th (Thu) to allow time to travel to Cape Tribulation. 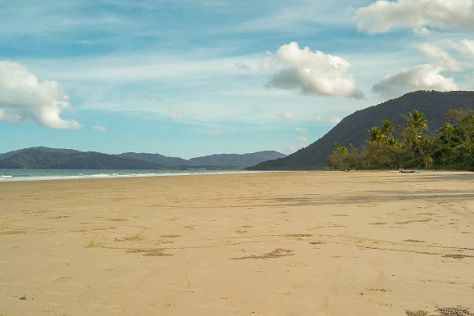 Start off your visit on the 10th (Fri): stroll through Myall Beach, then enjoy the sand and surf at Cape Tribulation Beach, and then kick back and relax at Thornton Beach. To find reviews, more things to do, ratings, and more tourist information, go to the Cape Tribulation road trip website . Traveling by combination of car and ferry from Port Douglas to Cape Tribulation takes 2 hours. Alternatively, you can take a bus. In January, plan for daily highs up to 37°C, and evening lows to 28°C. Cap off your sightseeing on the 10th (Fri) early enough to catcht the bus to Cairns. Start off your visit on the 11th (Sat): see some colorful creatures with a scuba or snorkeling tour. Get ready for a full day of sightseeing on the 12th (Sun): view the masterpieces at Village Gallery, enjoy the sand and surf at Palm Cove Beach, and then tour the pleasant surroundings at Esplanade Boardwalk. To find ratings, reviews, other places to visit, and other tourist information, refer to the Cairns trip itinerary planner . You can take a bus from Cape Tribulation to Cairns in 3.5 hours. Alternatively, you can drive. In January, plan for daily highs up to 37°C, and evening lows to 28°C. Cap off your sightseeing on the 12th (Sun) early enough to travel to Noosa. For photos, traveler tips, maps, and other tourist information, use the Noosa road trip planning site . Do a combination of flight, train, and bus from Cairns to Noosa in 8.5 hours. Alternatively, you can do a combination of flight and bus; or drive. On the 13th (Mon), wrap the sightseeing up by early afternoon so you can travel back home.